The Big Agnes Fish Hook 2 person tent is perfect for the backpacker looking to lighten his or her load. 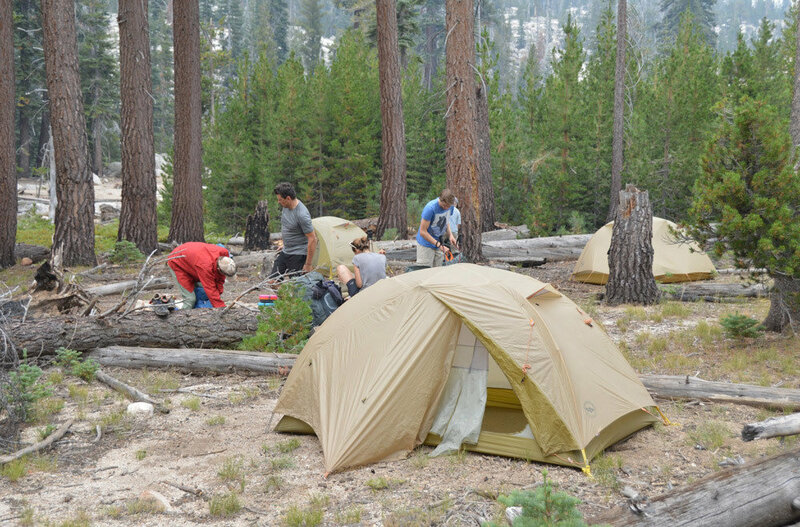 At just under 4 lbs, you get a free standing tent that fits 2 people comfortably. Plus, this is a zipperless tent, so it keeps the critters out and you don't have to worry about broken zippers in the middle of your trip cuz that's when all the creepy crawlies get into your tent. We can ship to your desired location. Please contact us for shipping rates. Free shipping does not apply to rentals.